Corvair Spinach is a cool season crop that grows well in our area. It will grow to a height of 15" to 18" tall and just as wide. Plant in full sun and well drained soil. 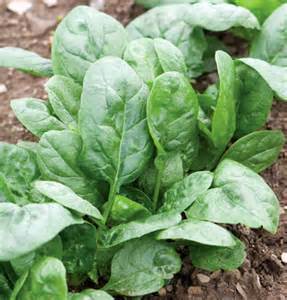 Corvair Spinach is highly nutritious and is great for fresh salads or cooking. The leaves are dark green and thick. Great for baby leaf and also regular production. Plant succession crops of spinach every two weeks for constant supply of fresh spinach. Try steaming the leaves to retain most of the vitamins. Corvair Spinach freezes well. Harvest time is about 50 days. Organically grown.